I first heard this song in 1970, but had never fully appreciated the significance of the lyrics until Morecambe Bay NHS Trust attempted to conceal what I had reported to them. Every effort was made to stop anyone from hearing what I had witnessed. 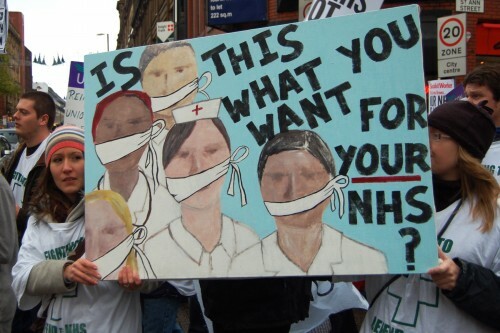 When they had cheated and lied their way to overcoming my efforts to expose their failures to prioritise patient safety, they forced me, under financial duress, to sign a Compromise Agreement, complete with Confidentiality “Gagging” Clause. At that time, the Trust’s much-trumpeted reputation could not be challenged. Silence thus preserved, they went on to record the highest Hospital Mortality Rate in the country. Board “resignations”, Coroners’ verdicts, Police investigations, Media revelations, NHS Watchdog inspection failures, Special Measures, DoH Inquiry and utter disgrace followed in rapid succession. I have taken the liberty of editing the lyrics, though the words pretty much stand up for themselves. ← Knocking on Heaven’s Door? Hunting for Redress.